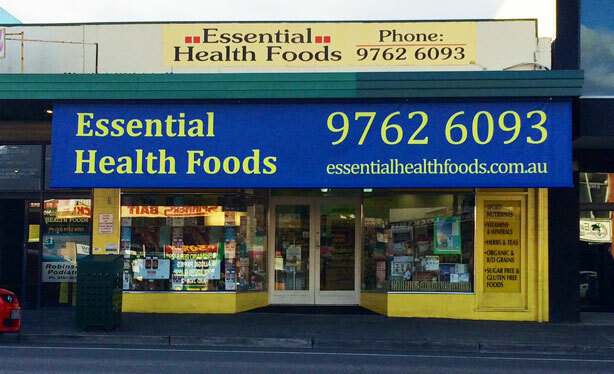 For over 25 years Michael and Christine from Essential Health Foods Boronia have been servicing their community. What sets them apart from others in the industry is their expertise. Specific herbal and homeopathic formulations are prepared on demand according to conditions and symptom presentations. Christine Gozlan (Bachelor Health Sciences NAT., Dip. H.M., Dip. NUT.,) graduated in Australia with a Bachelor Degree in Health Sciences, majoring in Naturopathy. Christine has also completed two diplomas (Herbal Medicine and Nutrition) and has a strong background in Homeopathy, an area she studied during her years in France. Christine is writing monthly health reviews and articles for The Boronia & The Basin Community Newspaper (BBCN) and the Arrow Wealth Financial Publication located in Abbotsford, Victoria. Michael, Christine’s husband, also has a strong passion for natural medicine and a healthy lifestyle. Michael has been serving the local community for over 25 years and is a driving force behind the success of the Essential Health Foods store.